After 30 years in the business, Laurie Schotz is finally learning to detach from her job. “I feel blessed; I enjoy my time at work, but now my job is part of me, not who I am,” the new director of the Warsaw Performing Arts Center explained. Schotz explained prior to this year, she was a workaholic. Already owning her own production company, Best Schotz Productions, a member of the Kiwanis and the Optimists clubs of Warsaw, and project manager for the Pierceton Chamber of Commerce, her jobs had become her life. Schotz went to Kent State University, where she received a bachelor’s degree in elementary education, with a minor in special education and later went on to Columbia College to receive a certificate in dance therapy. “I went to Kent State because the Olympic coach from 1968 was there,” Schotz explained, stating, originally, she wanted to attend the school to teach gymnastics. Her coach asked her to take dance classes to learn to coach better, herself and, instead of continuing on with gymnastics, she chose to dance and later ended up in stunt work. 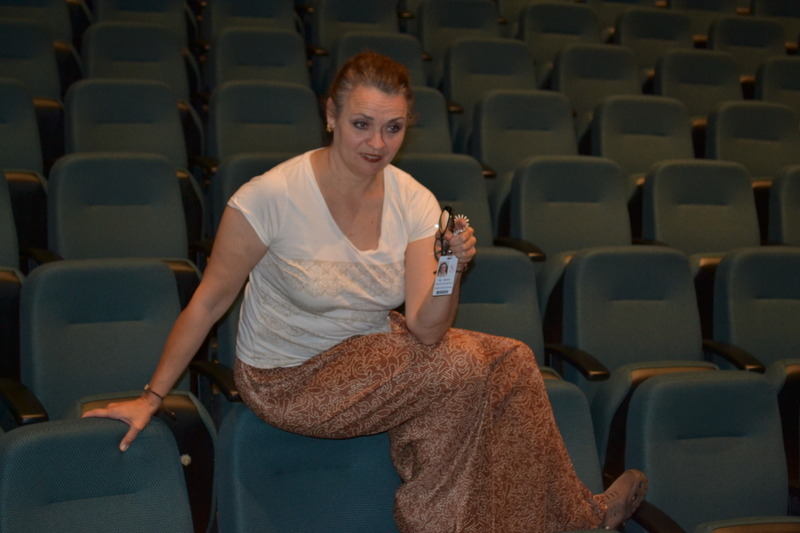 “I said I would be in theatre until I wasn’t hired anymore, and that day hasn’t happened yet,” Schotz remembered. In the past, Schotz has worked at Amish Acres, performed in Chicago and did stunts for movies. “I did movie stunt work, I don’t think it’s as fulfilling,” she said. Through her own company, she was able to set up a full spectrum of entertainment, including her stunt shows, murder mystery nights, concerts and a small petting zoo. She writes, directs, choreographs, does lighting and many other things for her company and the PAC. Hired in as interim director of the Warsaw PAC in February, Schotz found even more fulfillment in her career. In June, she was informed she would be hired. “The busier I am, the happier I am. I have found that out,” she said. With such a busy schedule, Schotz still is learning to take time out of her busy work schedule for her animals, her own aspirations and building friendships in the community.